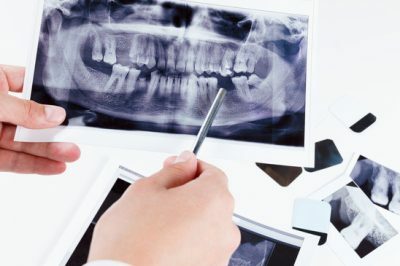 As a very important diagnostic tool in the field of dentistry, dental x-rays can help your dentist assess and detect oral diseases or dental problems which cannot be seen by the naked eye. Depending on the condition of your teeth, of the diseases that you are suffering from, on your age, and on symptoms that you have, your dentist may recommend that you undergo frequent dental x-rays. Children in general, may have to go through more x-rays than adults simply because their teeth and jaws are still developing, and because they can easily get tooth decay. Before asking you to get an x-ray, the dentist will review your history, and assess the condition of your teeth first. New patients are also more likely to be asked by dentists to get a dental x-ray. This is to help the dentist know the present status of the new patient’s teeth better. The dentist will also use the first x-ray of your teeth as a control so that he or she will be able to identify changes that might happen in the future. If you have new cavities, if your gum health needs to be checked, or if the dentist has to assess the growth and development of your teeth, then he or she may ask you get a new x-ray. If you have recently gotten a dental x-ray from a previous dentist, your new dentist can ask you for copies of your most recent x-ray. Both dental offices can help you when it comes to forwarding and receiving the x-rays. Dental x-rays make use of very low levels of radiation, this makes the risk for side effects very minimal, and this makes the procedure generally safe. By using dental x-ray tools and techniques, the technician will be able to limit your exposure to radiation. These are what they use to maintain the ALARA principle or the As Low As Reasonable Achievable principle. You will be asked to wear a leaded apron for as long as it will not interfere with your dental x-ray as it will help shield your abdomen from exposure to radiation. For the protection of your thyroid gland, you will be asked to wear a leaded thyroid collar. This collar is recommended for women who are very young, who are in their child-bearing age, or who are pregnant. Pregnant women should immediately inform their dentist before getting a dental x-ray. Pregnant women may still be asked to get an x-ray as part of their treatment plan especially when they have an ongoing dental disease. The leaded apron and collar will help protect both the pregnant woman and the unborn child from radiation. X-rays can also be safely done on breastfeeding mothers or for those who are trying to get pregnant. For those who want to know more about dental x-rays and their effects on children on the other hand, it may be best to talk to your child’s dentist personally. You can also refer to brochures made by Image Gently, a campaign that helps patients to easily make conversations with their dentist.